The first part of kart dynamics is your set of tires. 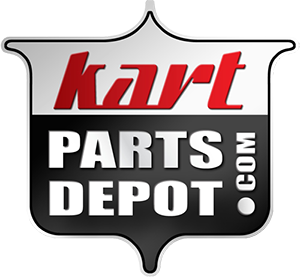 A kart does not have a suspension like a car, so what remains are the frame and the tires that make the kart grip the track. That makes the traction from the tires one of the greatest contributors to your ability to win the race. Traction is a combination of how grippy the track surface is with how grippy the kart tires are. Grip from the tires is a combination of the rubber used in the tires themselves and any treatment used on the tires, including chemicals or heating. This combination of surface frictions can vary throughout the day and the race with changes in temperature and humidity. When a kart is going straight down the track with the wheels positioned straight ahead, the kart follows the wheels. As you turn the steering wheel, the kart will change direction, but not instantly to the same direction where the wheels are pointing. The kart follows an arc that is slightly larger than the place the front tires are pointing as it tries to adjust to the new direction. 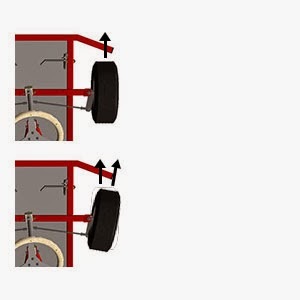 This creates a slight difference between the angle of the wheels and the angle of travel. According to Bob Bondurant of Bondurant SuperKart School, when angle is between 6 and 10 degrees, the tires are generating the maximum amount of grip. Managing the speed of your kart to maximize grip is the job of a good kart driver.